The music industry has once again gone through a tremendous transformation. Traditional roles in the business of creating music have been redefined and revolutionized. Picture the traditional scene of a music creation team in a studio--in attendance you may find the artist, the band, the manager, possibly the A&R rep of a label, the audio engineer, etc. Maybe you’ve hired a team of songwriters and curated a set of songs to record from their work. These roles are the traditional puzzle pieces required to produce good music. Now forget all of that. Consider what one person can accomplish musically on a Macbook alone. With a DAW (digital audio workstation) like Ableton or Fruity Loops, a few royalty-free sample packs, some cheap-to-free VSTs/Plugins, and a bit of a musical ear, the ‘laptop producer’ now has all the ingredients she needs to create commercially viable music. Further, consider the saturated market of cheap digital music distribution companies and the recent news about Spotify accepting direct artist uploads. What does all of this mean for the music industry, and how will it determine your strategy as a creator? One paradigm shift is clear and necessary: Producers are also songwriters. Securing music publishing rights as a producer can drive your business. Let’s back up. Music publishing is one form of ownership of music. It denotes the act of composing a song. If the song is released, it generates publishing royalties. If you, the creator of this release, composed the song, then you own the publishing rights and can collect royalties from this ownership. There is no rule saying that ‘the producer gets this %’ and ‘the artist gets this %’. All of this is negotiable. What is important is that all creators understand and take advantage of what publishing rights have to offer. This involves having a conversation with your collaborators about the publishing percentage owned and properly registering your share with a collection service like Songtrust. Alternatively, you could be the sole creator and automatically own and register at 100%. Music composition in its most basic sense is sound and silence organized over time. Producers are creating music just as much as the traditional songwriter, if not more. If you created an original piece of music and it is to be released to Spotify, Apple Music, etc., then you will generate publishing royalties. If you understand your ownership of that release, then you can register your percentage of publishing ownership and collect recurring royalties for the rest of your life. Music is such a volatile and unpredictable market. You never know when a song will take off or not. Why risk taking a one-time work-for-hire fee for a few hundred dollars when you can have X% ownership? Owning and registering a publishing percentage ensures fair compensation if the release sells well. This is a call to all producers and beat-leasers. Make sure you at least understand and consider maintaining and registering publishing ownership when you let others use your beat. Otherwise, you run the risk of making the beat to a song but never getting properly paid for it. 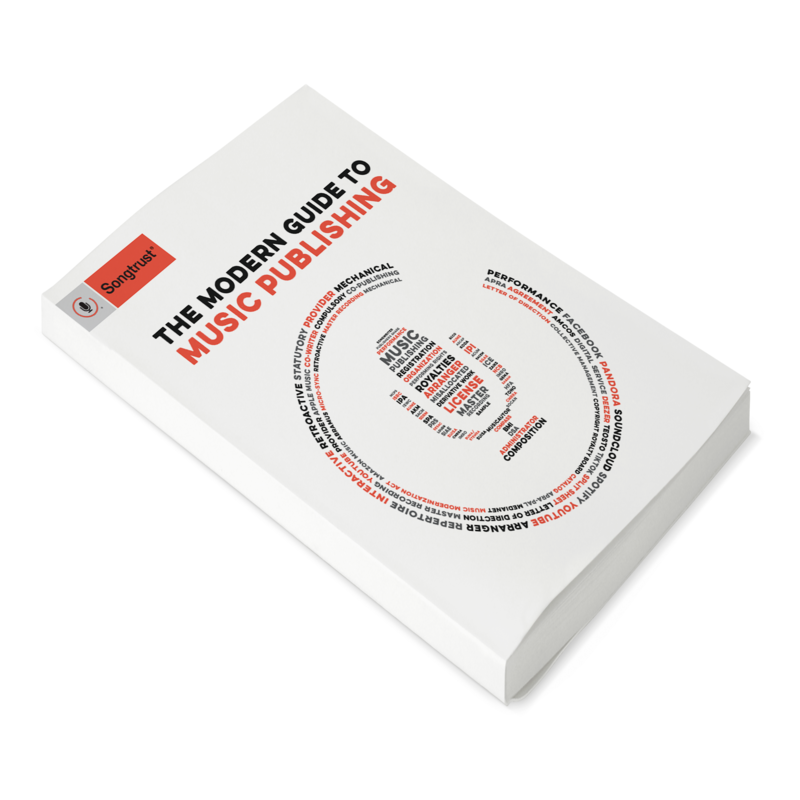 Consider further that it is very easy to distribute your music as a standalone product. People like instrumentals too. Spotify recognizes when listeners like your music and will help you find your listener base, algorithmically if not personally. Go find that hard drive, finish up your beats, and put them out! Try using LANDR or Audiomaster to master tracks at scale, and check out FreshTunes for free music distribution. If you sample someone else’s music, make sure you’ve covered all your bases too. Reach out to the original songwriter to discuss splits and obtain a mechanical license to use their sample in your music, and then register and administer the percentage that you both agree upon. Don’t find yourself in a sticky situation - do your homework and know how to properly go about using samples. We live in an exciting time for music. Now more than ever, independent musicians can create, release, and earn from music while maintaining full ownership. Gone are the days when a handful of tastemakers and big businesses decide who’s in and who’s out. We, the people, the producers, the songwriters, now have the ability to digitally ‘place’ our music on digital ‘shelves’ where real consumers can listen to that music and thus support the continued creative process. This opens the doors for new subgenres, new communities, new sounds, and new movements to find their way around the world into the ears of new subscribers and listeners. It is time to shed our old assumptions of ‘how things work’ and start taking advantage of ‘how you work’. Producers--you are also a songwriter in your own right. What’s the difference anyway? You are the one making compositional decisions with every click. You should make sure to negotiate publishing percentages where you can. Register your splits properly and collect the money you are due. Songtrust is here to help. If your music is already on Spotify, go ahead and estimate your earnings here.